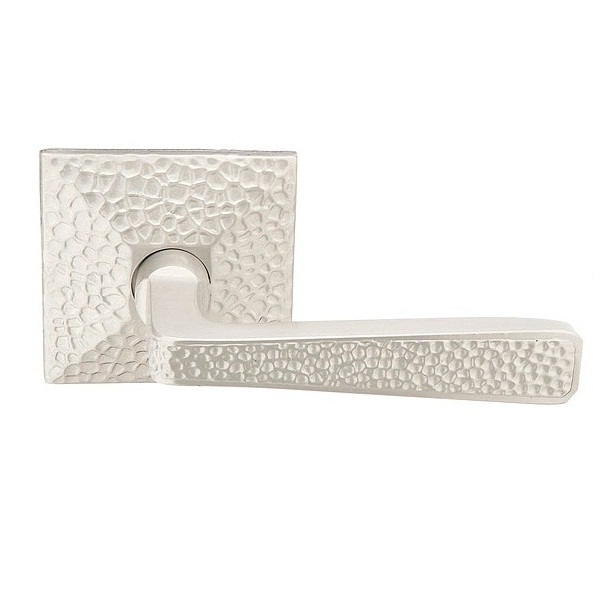 Emtek Hammered style levers are available with coordinating Hammered rosettes and several finishes. 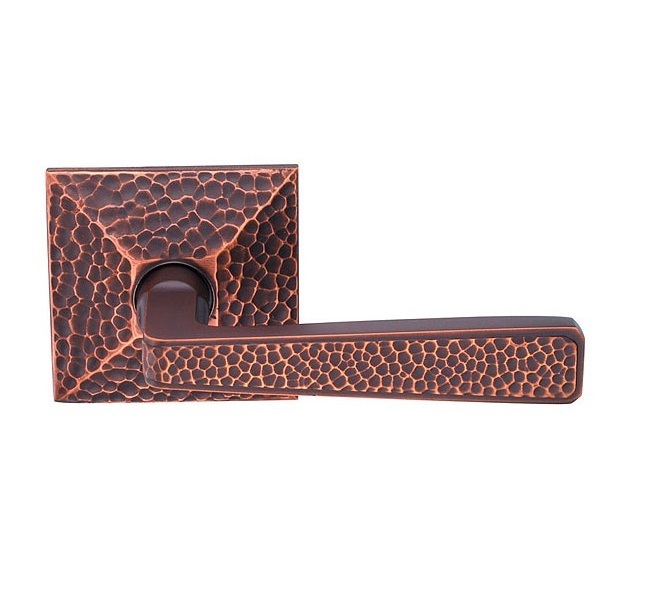 Emtek door hardware is made of solid brass for a heavy feel and lasting quality. Be sure to order your Emtek Deadbolts in coordinating styles and finishes. - Complete set. 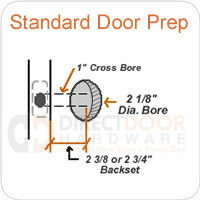 Includes levers and backplates/rosettes for both sides of the door, latch and strike plate and mounting hardware. Two non functioning levers and mounting screws for surface mounting. Emtek Lever Handles are available in several functions. Please review the descriptions below so you can order the correct door lever for your application. Emtek Passage or Hall and Closet Lever Handlesare used on doors that do not require a locking mechanism. Halls, closets, pantry or laundry doors will generally use a passage leverset. Passage levers do not have a locking mechanism. 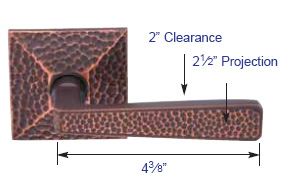 Emtek Privacy or Bed and Bath Door Levers are most often used on Bedrooms, Baths or Office doors where a lock for privacy while occupied is desired, but a keyed lock is not really necessary. Emtek privacy levers have a push button on the rosette or backplate as shown to the left to activate the lock. On the outside, there is a pin hole for emergency unlocking. Some levers will have a pin hole inside a circular piece, some just have a small pinhole. Emtek Double Dummy Door Levers are sold in pairs. Dummy levers do not have a latch or mechanism of any kind. These levers are surface mounted to a door that has not been bored (large hole cut out) for a lever. Dummy leverss are generally used on double doors that us a ball catch at the top to keep them closed so a latch is not required. They are also commonly found on the inactive side of a french door - a single dummy mounted on either side of the inactive door. Emtek Keyed Levers Not all Emtek knob and levers are available in a keyed function. For your exterior doors you may consider and Emtek passage knob or lever used with an Emtek deadbolt above, or and Emtek Sideplate Lock which incorporates the lever and deadbolt with one larger decorative backplate.